Can I get a copy of my Texas DWI record? If you have been arrested for drunk driving or DWI in Texas and you have decided to defend yourself in court the first step is to get a copy of your DWI arrest file prior to the court date and make sure you understand your rights and the DUI criminal process. How do I access my Texas DWI file or record? 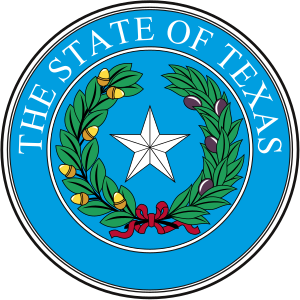 Under Texas law information about your DWI arrest, or any arrest, is considered public information. This is good news and bad news. The good news is there is a relatively easy process for retrieving the DWI arrest file for your own purposes. The bad news is the DWI arrest file may also be easily accessed by other entities, some of which you may not want to access the information. So what are the first steps to review your DWI arrest file? Gather all information about your DWI arrest. This will include the city and county where the DWI occurred. The date and time of the DUI arrest. The arresting officers name and general information about your incarceration (if you were incarcerated). When you have all of the relevant data you can use the internet to determine if the city or county has the arrest on online. Information can be found about either printing the record or picking it up in person. At this time arrest information in the State of Texas is administered by the Crime Records Unit of the Crime Records Service Bureau (CRS) and the Criminal History Search Unit through their Computerized Criminal History (CCH) system. Counties gather the information and consolidate it. Review your arrest information in the Crime Records Services Bureau system which can be accessed online via a name based search service. To perform this search you will be charged a fee. Talk to the Department of Public Safety in Texas. This government agency can be contacted by calling 512-424-2000. Although online searches are popular and can be useful you may also be able to get information from the DPS. Talk to the courthouse. Some county courthouses may be able to provide a copy of the arrest record for you for a fee. Contact the local police department. In some cases the local police department or sheriffs office may be able to provide you with a copy of your DWI arrest record. Talk to a DWI lawyer. One benefit of hiring a DUI lawyer is they will be very familiar with the DWI process and how to get a copy of your DUI arrest record and begin to prepare a defense for you. Unfortunately, if you have been arrested for DUI/DWI the information exists within the court system. The bad news is the information may still exist even if you are found not guilty or you are acquitted of all charges. The downside to this is that if you are later stopped for an unrelated charged or if an employer does a background check they will see the DWI arrest, even if you were found not guilty. DUI expungements may be available to drivers who are arrested but not convicted of DWI or drivers who are acquitted at trial. Talk to a DUI lawyer if you have questions about expunging your Texas DWI record. If you are convicted of DUI an expungement is generally not allowed, unless you are pardoned or acquitted by the court of appeals.